Does your business have a presence on social media? Are you regularly using the channels you are on? While social media is one of the best ways to grow your business, simply having social media accounts isn’t enough. You need to take action to make your social media efforts engaging and effective. This article is going to teach you a few social media power tips to help you put your channels to use. This collection of power tips can help you start creating more content for your channels, build long-term engagement with your audience, and put your channels to better use. Would you like to drive fans on your Facebook Page to take a specific action? For example, to sign-up for your email newsletter, book an appointment, or shop on your website? What if you could include specific call to action buttons on your Facebook Page to help reach your overall business goals? Instead of burying a link to your website in your cover photo, relying on users to click into your photo, Facebook rolled out a way to do this on Facebook Pages with Facebook Page call to action buttons. 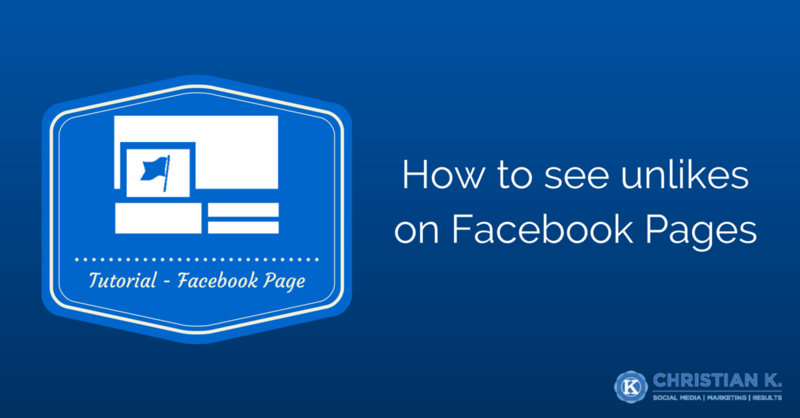 This article is going to teach you how to use Facebook Page Call to Action Buttons. What are Facebook Page Call to Action buttons? Call to action buttons are a way to specify a single action for your Facebook fans (page likes) to take from your timeline cover photo. Depending on what action you want your fans to take, you can choose to have a button appear on your page that when clicked, keeps a user inside of Facebook. Alternatively, you can also send users off of Facebook to your website or anywhere you like. You can even use the new Facebook Page call to action buttons with a landing page for a more complete solution. Page admins can select from a group of call-to-action buttons — like Shop Now or Sign Up — to add to the top of their Page. There are seven types of call to action buttons you can select from. I’ve had the chance to use the new Facebook Page Call to Action buttons and they’re amazing! Let’s take a look at Facebook’s Call to Action buttons and how you add them to your Facebook Page. Have you ever tried to take videos or photos with your smartphone only to have them turn out shaky or blurry? Or maybe you tried to take a selfie at a conference and someone accidentally bumped your arm and you dropped your expensive phone and shattered the screen. Don’t worry, you’re not alone. I’m very protective of my smartphone too and worry about something happening to it as well because it’s a tool I use daily in my business. Today I’m going to review a product called the Shoulderpod S1 smartphone rig and show you how it can help you film better videos, take better photos, and help you create more quality content for your business. The Shoulderpod S1 is a 3-in-1 mount for your smartphone. Basically, it’s a tool you attach to your phone to help stabilize it. This way whenever you are shooting a video or taking photos you don’t have to worry about your phone moving and messing up your shot. Here’s what I think about the Shoulderpod S1 and how it can help you in your business. Take better videos with your smartphone with the @shoulderpod S1. Here’s how! Do you know how well your Facebook Page posts are performing? Would you like to learn who your audience is on your Facebook Page? You can get this information through Facebook Insights. This article will teach you how to export data from Facebook Insights in just a few simple steps! Why download your Facebook Insights data? Everyone who has a Facebook Page should know how to export data from Facebook Insights. This way you can see which posts are working and learn more about your audience. Not looking at Facebook Insights data is like driving a car without a steering wheel. With this valuable data from Facebook Insights, you can make adjustments to the content you share and when you are posting your updates. By doing this, you can learn more about the content your audience is interested in and post more of it. The more people who see your posts and find the content interesting, the more chances you have to get them to engage with your content through likes, comments, and shares. To export data from Facebook Insights, follow these steps. Did you receive a gift? Did a client do great work? Would you like to say thanks? This article is going to teach you how to use Facebook Video Cards to send someone a thank you. What are Facebook Video Cards? Facebook Video Cards are a way to create a personalized video on Facebook to send to your friends. To date, 200 million video cards have been sent. Instead of sending someone a private email or handwritten thank you note which only reaches the recipient. You can send a personalized thank you also called Facebook Videos Cards or a “Say thanks” video in just a few steps. Has your business gone through a rebranding? Do you have a typo in your Facebook Page name? Maybe you have more than 200 likes on your Facebook Page and want to rename your page. This article is going to teach you five ways to rename a Facebook Page. I mentioned a few of the reasons why you may want to rename your Facebook Page. While these are just some of the reasons why you need to rename your page, I’m sure there are plenty of other reasons. The problem with renaming a page is that there are a lot of different ways to do it. Some of the solutions work on some pages but not on all of them. As a result, it can be frustrating to use Facebook to grow your business when you’re constantly running into roadblocks to rename your page. Renaming a Facebook Page is a question I get a lot. I’ve compiled some of the ways you can rename your Facebook Page. Remember, depending on the size of your Facebook audience, some options will work for your page but not others you manage. Let’s look at some ways you can rename your Facebook Page. Recently, I had a chance to read a copy of the book, #BEMORE: 77 Secrets To Your Powerful Life by Sandi Krakowski. For those of you who aren’t familiar with Sandi, she’s a social media influencer, been featured on Forbes and has an astounding 750,000+ fans on Facebook. This is a pretty amazing feat, considering she doesn’t have any prior social media background! Having seen her success, I was eager to read her new book. Here is my review of #BEMORE: 77 Secrets To Your Powerful Life. How to delete your Vine account for good! Did you join Vine and find out it wasn’t a good fit for you or your business? Do you want to delete your Vine account, but don’t know how? This article will teach you how to delete your Vine account in just a few steps! Continue reading How to delete your Vine account for good!